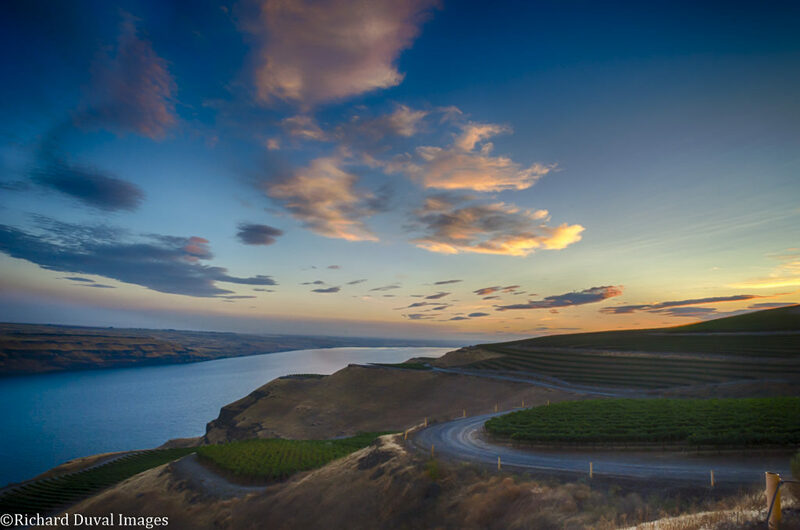 Considered by some to be the best vineyard site in Washington state, Wallula Vineyard is a picturesque growing location nestled high above the mighty Columbia River south of Kennewick. The vineyard is planted on south-facing slopes which vary from 2% up to 30% grade and its perimeter totals 9 miles of varied terrain. Of this perimeter, the shore of the Columbia River provides nearly 3.5 miles of waterfront. From the river’s edge at 320 feet above sea level, the property climbs a distance of nearly 3.5 miles to its peak elevation of 1367 feet. 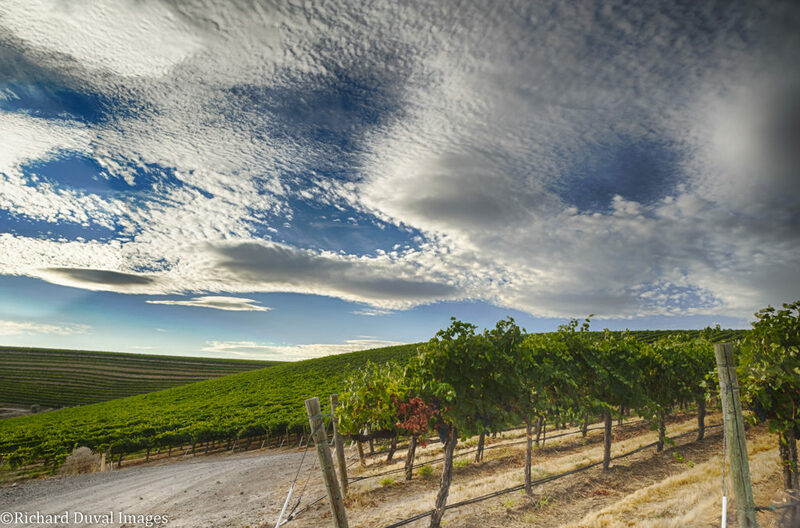 The lower elevations of the property provide ideal growing conditions for ultra-premium reds while conditions at the upper elevations allow for high quality whites to be grown. The river is of utmost importance as the water acts as a massive insulator where during the day heat accumulates quickly and at night it provides a cooling effect once the sun goes down. 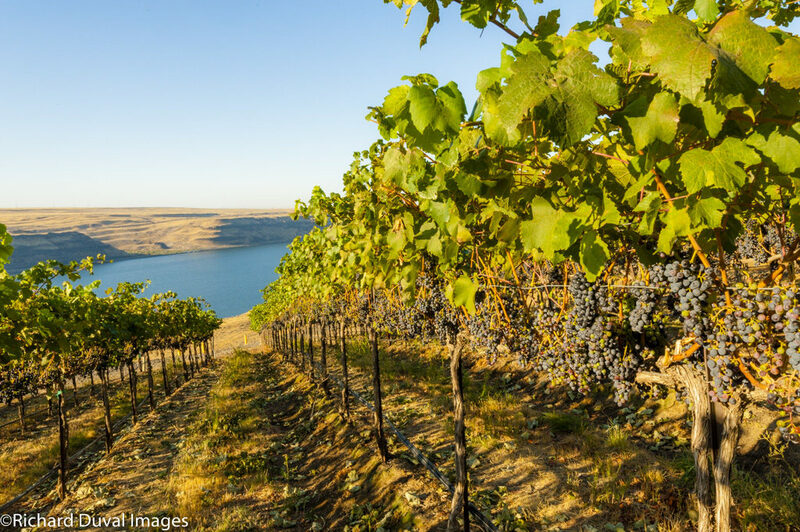 Wallula’s beauty as well as its suitability to winegrapes is due in part to the huge Missoula floods that raced down the Columbia River during the last ice age. The surging waters deposited Shano silt loam soils on the site, and carved the steep, basalt-rimmed canyon walls atop which the vineyards are planted.